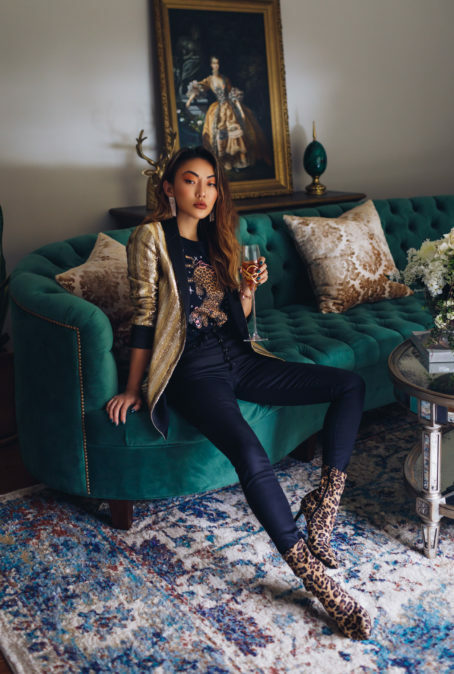 As someone who loves fashion, I’m a strong believer that makeup and beauty are an important part of any outfits. After all, it’s not just looking good but feeling good as well. Ask any beauty guru and they’ll definitely agree that better make up requires better skin. It’s not just about applying makeup well, but also learning how to remove your makeup the right way too. Makeup, like any outfits, is fun and exciting to put on. But unlike clothing pieces that you can slip in and out of, makeup is applied directly to your skin. If you’re always wearing makeup daily, like me, it’s really important to take care of your skin. To do so first and foremost is by removing makeup in a gentle but also effective way. 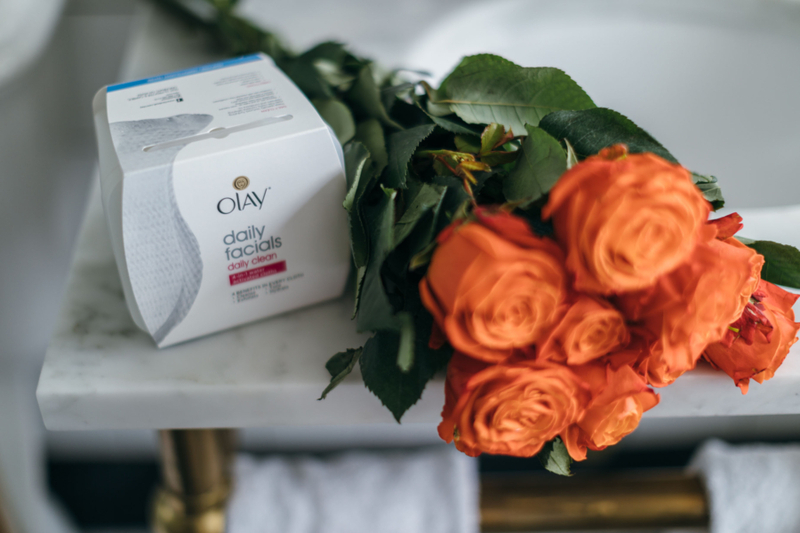 It’s taken me a long time to discover Olay Daily Facials Daily 4-in-1 Water Activated Cleansing Cloth but I’m so glad that I did. 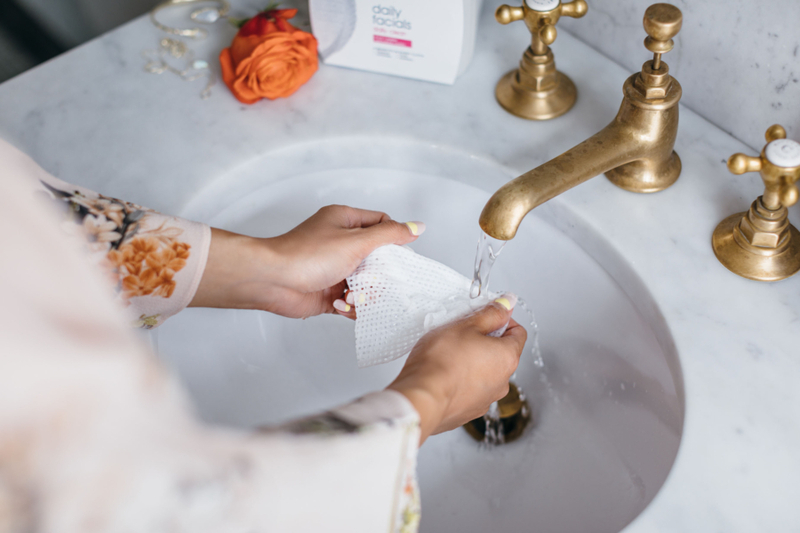 Olay’s Daily Clean 4-in- 1 Water Activated Cleansing Cloth makes removing makeup so much easier! It gets the job done while providing so many additional skincare steps that usually would require several other products. It sounds too good to be true right? Well, it really isn’t and is quite simple. The Olay Daily Facials Daily Clean 4-in-1 Water Activated Cloth are exactly as they are named. Under water, these cleansing cloths are activated to gently break up and lift away dirt, oil, and makeup. It also tones skin with an essential cleansing formula. Then, hydrates with a layer of specialized Olay conditioners, and gently exfoliates to smooth the skin’s surface for a complete clean. These cloths are not only compact but they are so easy to use. All you have to do is wet them with some water. Rub to lather, and wipe them all over the face (even around the eyes). Rinse after or pat dry with a cloth for even better results! 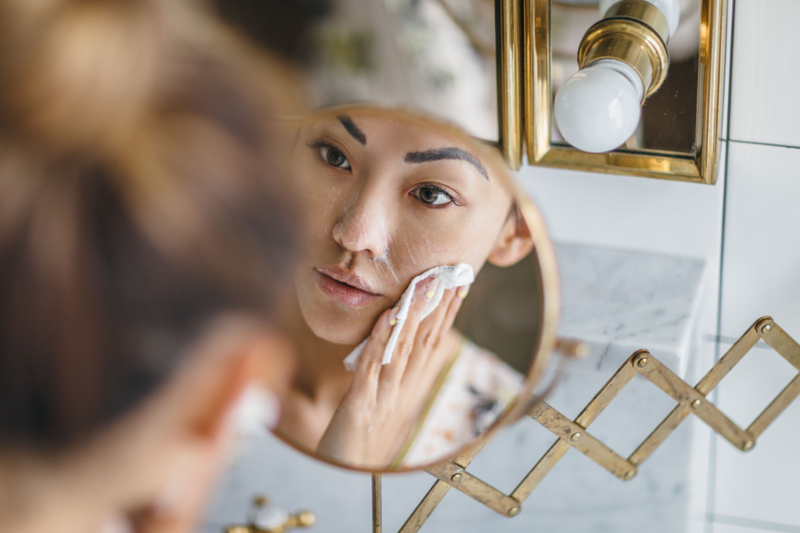 As someone who wears makeup every day, I definitely think that it is important to learn to remove your makeup the right way. I’ve noticed that there’s certainly a buildup of makeup in my skin if it isn’t completely removed the night before. It’s easier said than done. But sometimes going through a series of steps just to get ready for bed after a long day can be a hard routine to keep up. It’s not just about removing the makeup. It is also prepping your skin the next day. Makes sense right? 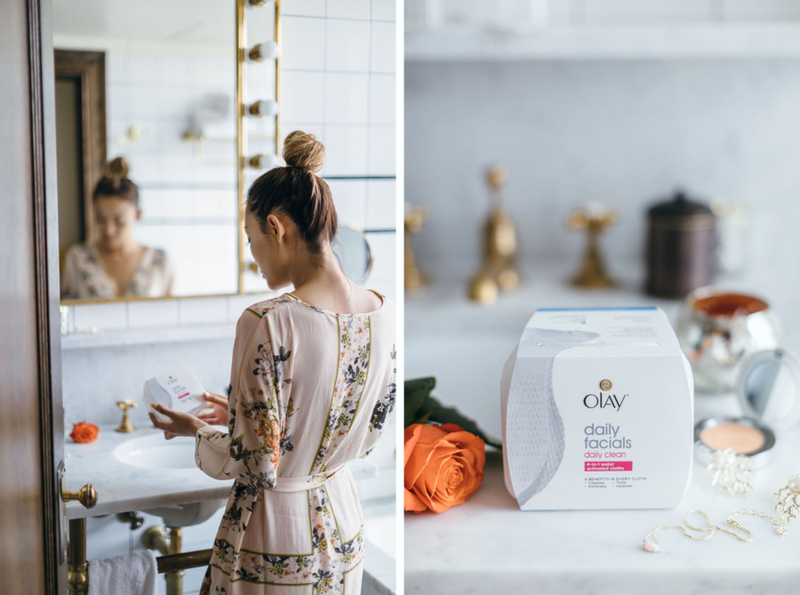 I’ve noticed that with Olay Daily Facials Daily Clean 4-in-1 Water Activated Cloth not only does my skin feels fresh and moisturized afterward, it also no longer tight and dry from a deep clean that other make removers usually feels like. The best part is, I wake up with the same nourished skin that feels like it was never in need of makeup anyway! So, whether you’re like me who wears makeup every day or is looking to skip a few steps to remove your makeup at night I highly recommend Olay Daily Facials Daily Clean 4-in-1 Water Activated Cloth! Give it a try because it’s actually dermatologist tested for all skin types.